There is a reason West Virginia is called Almost Heaven, because it is. Summersville Lake Retreat is one spot of this heaven. For anyone who loves to camp, whether it be tent, RV, or cabins, my husband and I highly recommend Summersville Lake Retreat. The campground is very well maintained and the views are spectacular. 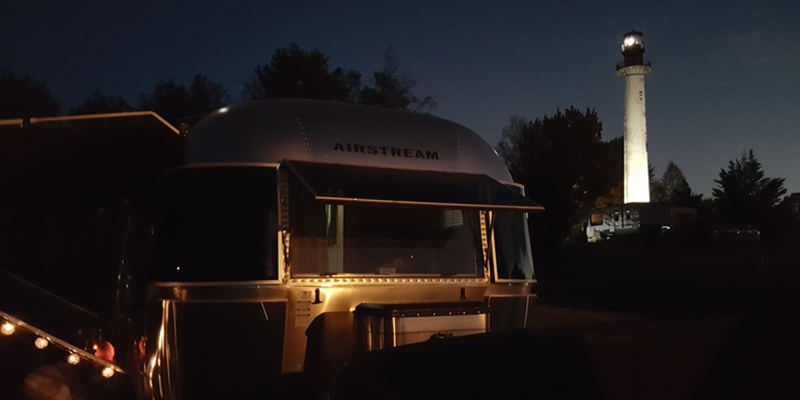 The owners and the staff are so friendly and very helpful either answering questions about the campground, questions about your site, and giving you information about this beautiful part of West Virginia. They are very knowledgeable of this area of the state. They offer great recommendations of things to do, places to see and the best restaurants. The hosts guiding you to your sight are exceptional. They are friendly and very helpful. The bath house is spotless. The showers are wonderful. Plenty of hot water and great water pressure. The play area for kids will take care keeping the young ones busy. Then there is the lighthouse. The Summersville Lake Lighthouse was erected overlooking Summersville Lake in Mount Nebo, West Virginia on October 17, 2012. Standing 104 feet tall with a top elevation of 2,164 feet above sea level, the 77,000 lb. structure was a cylindrical tower constructed entirely of 1/2 inch thick steel. With a base diameter of 12 feet receding to 8 feet at the top, visitors can climb 122 steps to reach a 360 degree gallery deck offering unparalled views of Summersville Lake and the Gauley River National Recreation Area. For those of you that have not experienced it, give it a try. I guarantee you will love it. We stayed July 2017.